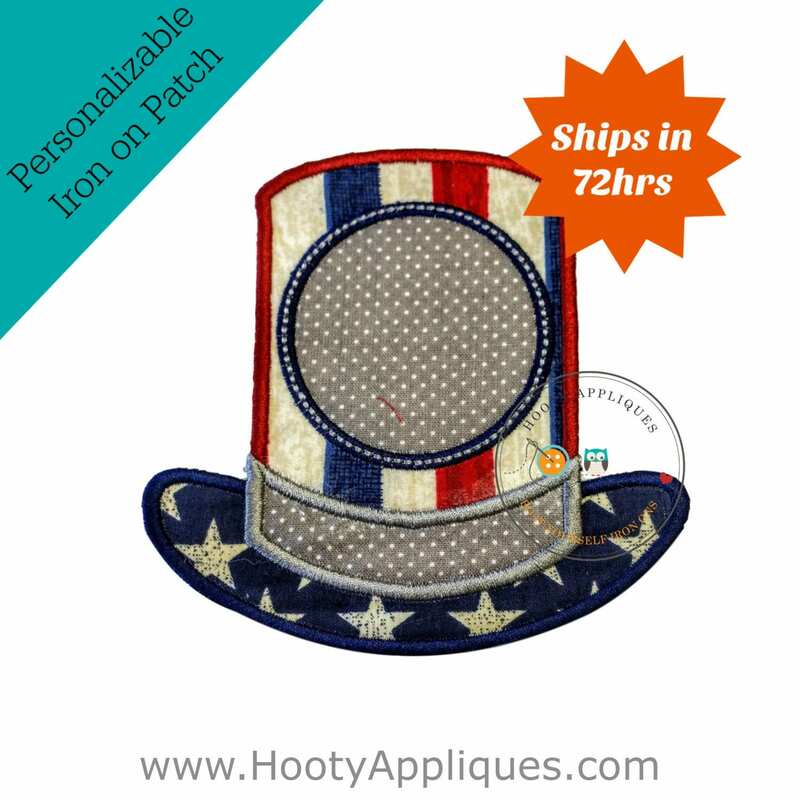 Monogrammed iron-on patriotic top hat in red, white, and blue stripes with white stars on blue background cotton fabric, and gray polka-dotted band and circle for up to three, circle, monogram letters. 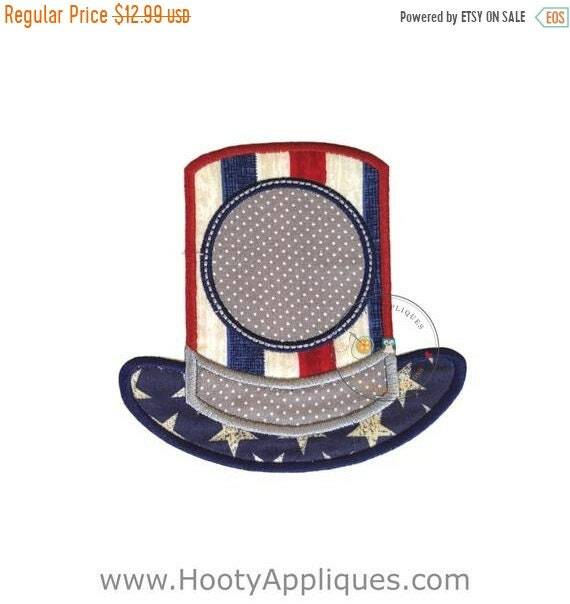 This patch may be used for any patriotic holiday such as the fourth of July. It will dress up any plain t-shirt, vest, jacket, or blanket. This applique is great for children and adults alike. *Patch measures 5 inches wide by 5 inches tall.